There is never a bad time for pizza. Especially when you roll into camp early and have some time to kill. This recipe requires a Fry-Bake (available from Banks Fry-Bake Company) and about 1 hour of cook time. 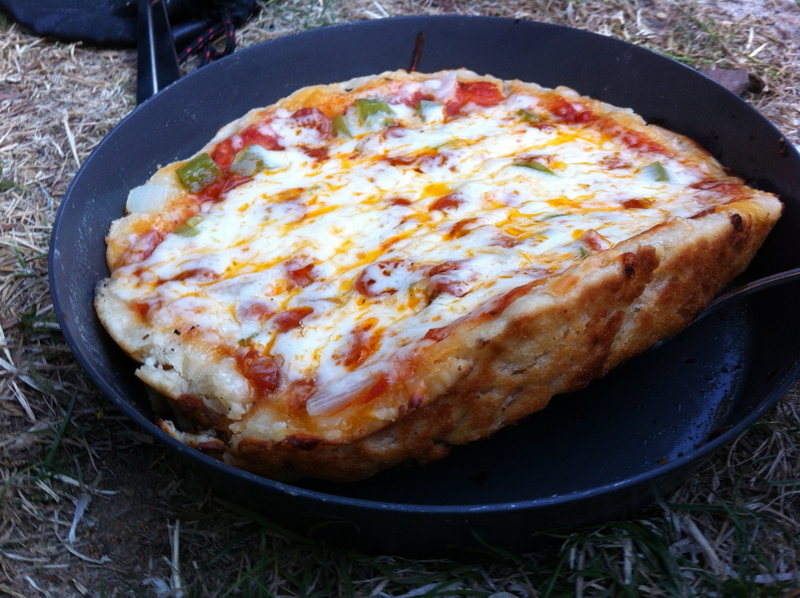 Portions in this recipe are for the 8″ Alpine model Fry-Bake. At home: Mix the flour, italian seasoning and garlic powder together in plastic bag. 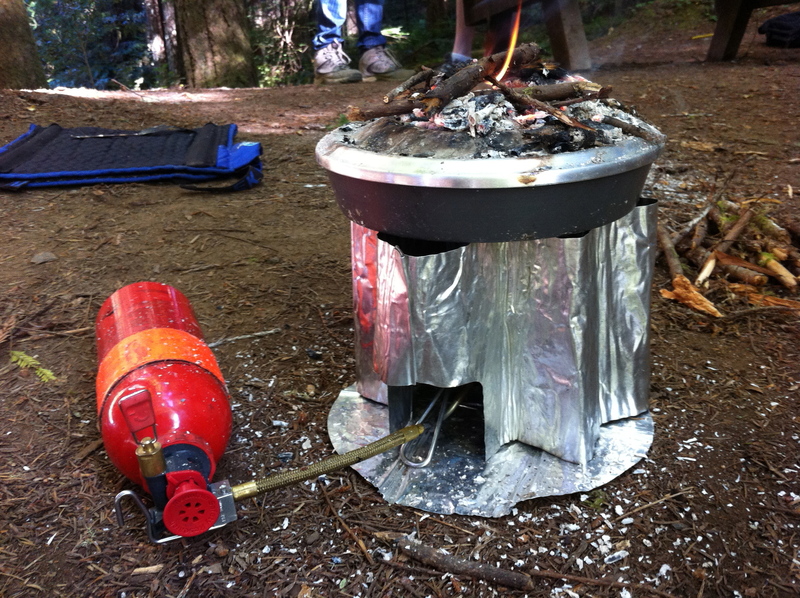 In the backcountry: In a bowl, slowly add warm water to the flour mix until doughy. Dough should be moist, but not wet or sticky. Its best to have a little extra flour left over to add to the dough in case it becomes too wet. Oil the Fry-Bake well to prevent sticking. Place the dough ball into the pan and spread evenly, covering the bottom. Cover and start a twiggy fire on top of the Fry-Bake. Bake the crust for ~20min. Add sauce, cheese and toppings. Replace the cover and continue baking for another 30min. Check that the cheese has fully melted. If more time is needed continue baking. Once the cheese has melted, place Fry-Bake onto stove at lowest possible heat. (To avoid burning, you should be able to hold you had 6 inches above the flame for 6 seconds. I use a depressurized Whisperlite.) Replace the lid, with twiggy fire, and cook for 5-10min. Remove from stove and enjoy!